Virginia Ann Strand, age 90 of Welch, MN, died on Thursday evening, June 14, 2018 at Mayo Clinic Health System – Red Wing. Virginia was born on September 16, 1927 in Owatonna, MN, the daughter of William and Ella (Podratz) Dornquast. She graduated in 1944 from Alberta High School in Alberta, MN. She then went to normal teacher’s training in Wheaton, MN. Before marrying, she taught country school near Wheaton in Traverse County. She married Milton E. Strand on September 1, 1946 in Donnelly, MN. She was a homemaker and helped her husband with farming while living in Donnelly until 1965. 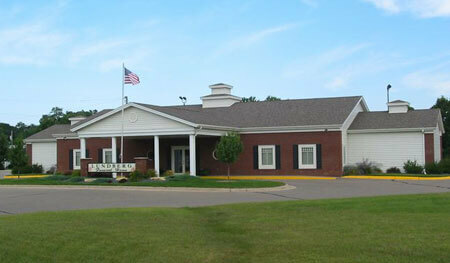 She was also a secretary at the Owatonna Hospital for a time. Milton and she moved to Welch, where she was bookkeeper and partner in Strand’s Minnesota Arabians from 1976 – 1999.They retired in 1999 and sold their business to sons, Jon and Lee. She was a member of Cross of Christ in Welch, where she was active in ladies aid and served on the church council. She had also been an active member at the following churches: St. John in Donnelly, St. Andrew in Cedar Rapids, IA, and St. John's in Owatonna. She had taught Sunday school for 30 years, and helped with vacation church school. She had also been involved with the Stevens County Homemaker’s County Extension Group. She was preceded in death by her parents; husband, Milton on August 22, 2002; and son, Jon on April 2, 2010; and brother, Willard Dornquast of Deer Park, WA. 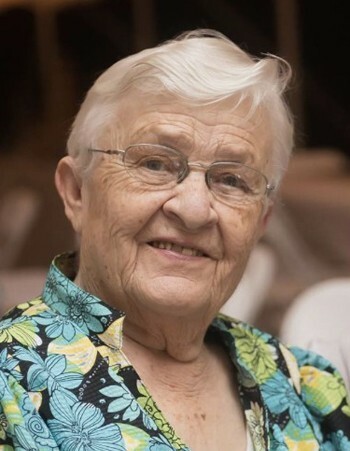 She is survived by her sons, Alan (Beth) of Welch, Mark (Darlene) of Cape Girardeau, MO, Steve (Anna) of Marion, IA, and LeWayne (Dena) of Queen Creek, AZ; daughter-in-law, Jackie Strand of Queen Creek; 14 grandchildren, 15 great-grandchildren; sister, Donna Koester of Snowflake, AZ; and many nieces and nephews. Funeral service will be held on Tuesday, June 19 at 11:00 a.m., with visitation from 10-11 a.m., at Cross of Christ Lutheran Church, Welch. Interment will follow at the church cemetery. Active pallbearers will be Alan Strand, Mark Strand, Steve Strand, Lee Strand, Dylan Strand, and Rocky Strand. Honorary pallbearers will be her grandchildren and great-grandchildren. Memorials are preferred to Cross of Christ Lutheran Church.